Jennie Haw argues that precautionary consumption is an ineffective strategy to mitigate health harms associated with everyday chemical exposures. Brominated flame-retardants and phthalates are two categories of chemicals found in many everyday-use items and living spaces. Brominated flame-retardants are chemical treatments that are used to reduce the risk of fire. They are found in items such as: furnishings, fabrics, carpet, foam, wiring, computers, and televisions. Phthalates are chemicals that are used as solvents and to produce malleable plastics. They are found in items such as: flooring, wall coverings, food packaging, medical devices, medication coatings, shampoos, perfumes, and lotions. Given their wide use, many scholars and commentators describe brominated flame-retardants and phthalates as ‘ubiquitous’ chemicals in industrialized nations. Public concern regarding health harms related to brominated flame-retardants and phthalate exposure has emerged alongside growing evidence that suggests brominated flame-retardants and phthalates act as endocrine-disruptors and have negative health effects. Studies examining the effects of these chemicals on humans show associations between exposure to brominated flame-retardants and cryptorchidism (undescended testes) in young boys. Researchers have demonstrated a link between high phthalate exposure and decreased sperm motility, decreased ano-genital distance, and smaller scrotum size in boys/men. While studies providing evidence of human health effects are limited compared to animal toxicology studies, many researchers, health advocates, and environmental groups find the results compelling enough to consider human exposure to these chemicals to be associated with significant health concerns. In spite of these concerns, the Canadian regulatory framework responsible for governing the production and use of chemicals is a permissive one. Since 1991, the Canadian Environmental Protection Act (CEPA) has recognized the “precautionary principle” which should place the burden of evidence of safety on the shoulders of chemical producers. However, the precautionary principle has not entered the “risk management” measures that governments choose when taking action on chemicals found toxic. With a permissive regulatory structure, and given the ubiquity of these chemicals and our knowledge of the potential for significant detrimental health effects, many concerned groups encourage people to apply precaution in their own consumption practices. “Precautionary consumption”—people’s efforts to mitigate harms associated with environmental chemicals through vigilant consumption—is thus commonly promoted as a strategy for individuals to keep toxins out of their bodies and homes. 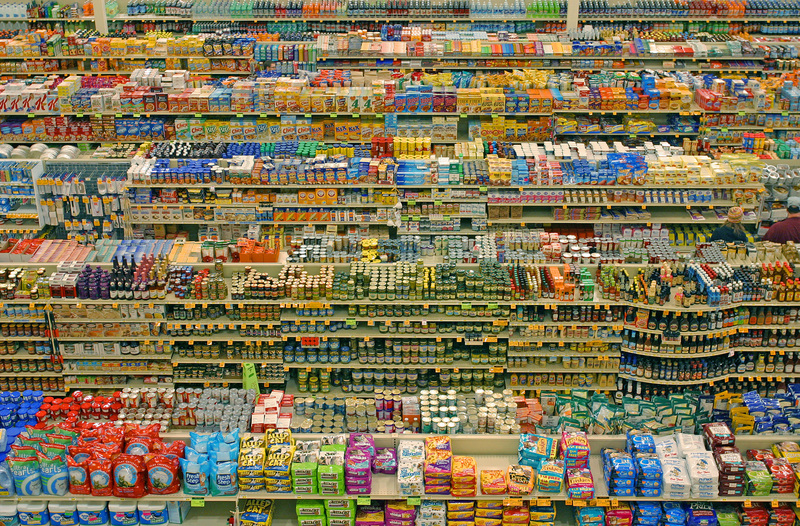 First, in addition to problems with relying on reading labels (e.g., labeling inconsistency, time required to read labels), precautionary consumption falls prey to the “consumption fallacy.” This fallacy is the belief that consumers have unbounded choice when in fact their range of options to buy brominated flame-retardants and phthalate-free products is limited. For example, Greenpeace reported in 2014 that there are no television sets that are brominated flame-retardant-free. Second, rather than addressing health disparities associated with socioeconomic inequities, precautionary consumption exacerbates them. People with more resources (e.g., money, time) can afford to buy “green” products while those with less may not. A flame retardant-free mattress, if available, is likely more expensive than a mattress that has been treated with brominated flame-retardants. Moreover, people with fewer resources are more likely to live in areas closer to industry plants that release these same toxins into the air or water, and are therefore at greater risk for exposure. Third, precautionary consumption is gendered labour and it does not address gender inequity. Scholars show that women are primarily responsible for managing the home, which includes shopping for food and other household items. Some environmental and health advocates include precautionary consumption in a broader set of “green” practices (e.g., cleaning floors with a wet mop) that fall within women’s sphere of domestic labour. Concerns regarding in utero exposures to brominated flame-retardants and phthalates for fetal development also place greater responsibility on pregnant women to manage chemical exposures during pregnancy. Fourth, the effectiveness of precautionary consumption is limited when dealing with ubiquitous chemicals. Since these chemicals are not merely present in the products to which they have been added, but are also released into the environment during production and accumulate in biological materials, people’s efforts to keep these toxins “out” solely through personal buying behaviours has a limited effect, at best. Fifth, scholars have shown that when people recognize that their consumption behaviours are limited in keeping out brominated flame-retardants and phthalates, they attempt to erect physical and symbolic boundaries between their homes and the “outside” environment to minimize toxic exposures. Thus, the limitations of precautionary consumption together with a fear of toxic contamination may prompt people to isolate themselves rather than engage in community action. Precautionary consumption is an ineffective, individualized, apolitical effort to manage exposures to ubiquitous chemicals. Instead, political action is needed to re-politicize efforts to address these issues. Political action includes: working collectively to advocate for policy and regulatory change, engaging in public debates about how best to approach these changes, continuous consideration of whose interests/needs are being met by these changes, and reflection on our need for, and dependence on, these chemicals. This post is based on research being conducted with Professor Dayna Nadine Scott in collaboration with Professors Roxanne Mykitiuk and Jeff Nisker supported by grant RHF100625 and RHF-100626 from the Institute for Human Development, Child and Youth Health (IHDCYH), Canadian Institutes of Health Research (CIHR). Jennie Haw is a postdoctoral researcher at the University of Guelph.